“Almost in the midst of Piemonte and at the most beautiful spot, on top of a smooth hillock, there rises the city of Fossano. Gently looking eastward, to a charming arena of scattered well-various hummocks, and a vast plain, the sight extends on a wide country area towards the farthest Swiss Alps, having on the left the snowy cliffs of the Saluzzo ridge, with the Stone King, the Mount Monviso and, on the right, the fat slopes of the Appennino”. 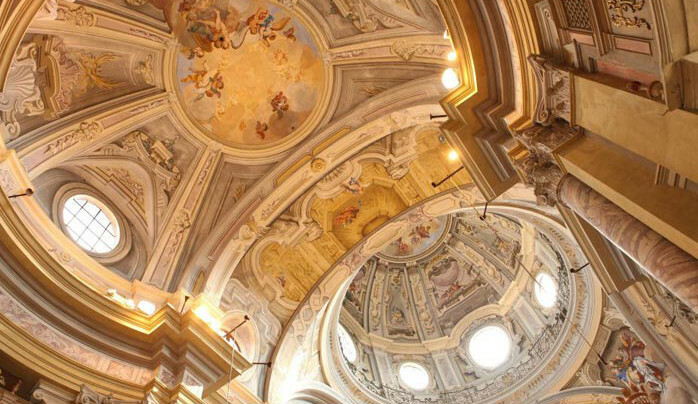 So described the city, in the first half of the nineteenth Century, the clergyman Pietro Paserio, in his book “Historical notes on the City of Fossano”. 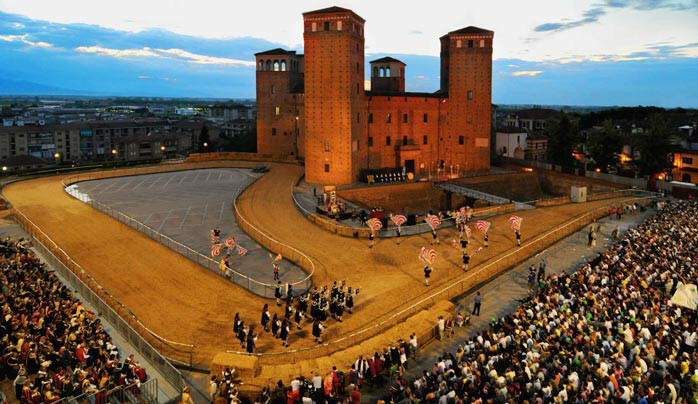 Fossano, with its over 24.000 residents, 15 suburbs, 131 square kilometers at 375 mt over Sea level, is set in the middle of the Cuneo Province, 25 Km from the Province set itself, 60 Km from Torino and 80 Km from the Ligurian Sea. 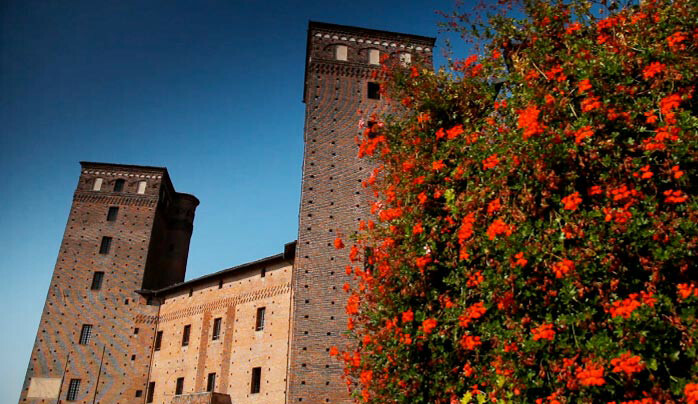 Neighbouring Fossano are the city of Alba and the Langhe Region, a geographic area widely renown for Italy’s finest wines (Barolo, Barbaresco e Dolcetto) and world-famous for its white truffles. Every October, Alba hosts the International White Truffle Fair which attracts visitors – and buyers – from around the globe. Another neighbouring city, delightfully named ‘Bra’, is the birthplace of the “Slow Food” Movement. Since the movement started in 1986 the International non-profit Association “Slow Food” has established the famous “Università degli Studi di Scienze Gastronomiche” (Gastronomical Sciences University) in the town of Pollenzo. 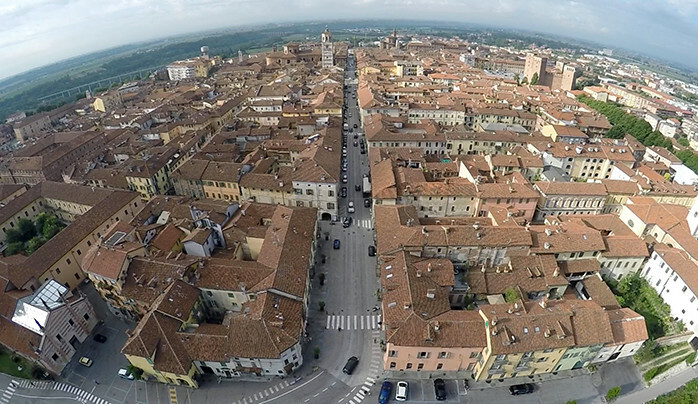 The City of Fossano is easily reachable via the A6 Torino-Savona toll highway, by the exits “Fossano” or “Marene”, or by railway, of which Fossano represents an important hub between Torino and Cuneo, towards France, and between Torino and Savona, towards Genova and the south of Italy. The closer airports are Cuneo-Levaldigi (10 km) and the international airport of Torino Caselle (100 km).